The committee also decided to take the next step in its proposal to ban on the sale of water in plastic bottles at all city-run facilities — that the issue go before council. Our Take: Part of the “disposables” story we’ve been following, drawing attention to other common forms of wasteful consumption, such as coffee cups and lids. Toronto is sending a clear message that overconsumption must be stopped. Although the ban on cups and other disposables was rejected, perhaps a fee (like France’s ‘picnic tax’) is still viable – and the best solution for changing consumer behavior. There’s a bit more heat this week on bisphenol A, this time courtesy of attorneys general in Connecticut, New Jersey and Delaware. The AGs sent letters to 11 companies asking them to voluntarily stop putting the chemicals into baby bottles and formula. Two big moves to ban BPA – Canada is a model for when government acts responsively and proactively in the interest of public safety. Fortunately, we’re seeing some great leadership on the part of Conneticut, New Jersey and Delaware. We hope it’s only the beginning of Americans taking matters into their own hands – politically and personally – to put health before profit. 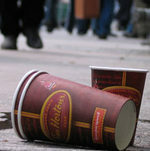 The City of Toronto is considering everything from a tax to an outright ban on objects like paper coffee cups, fast-food containers and plastic bags that clog the recycling system. By 2010, Toronto wants to send only 30 percent of its garbage to landfill sites. But to achieve that goal, the city says, it needs to limit the garbage that takes up a lot of space—and that means reducing Styrofoam cartons, plastic bags and the ubiquitous paper coffee cup. Our Take: Part of a growing trend of legislation (still outside the U.S. mainly), taking aim at use-and-toss items often perceived as free. We anticipate more cities will continue targeting the wasteful over-consumption of food containers and paper cups. An ubiquitous chemical found in hard plastic water bottles, DVDs, CDs and hundreds of other common items came under increased pressure Friday when Canada said it's potentially harmful and may ban its use in baby bottles. Health Canada made the announcement shortly after a U.S. company said it would stop selling hard-plastic Nalgene water bottles made with bisphenol A because of growing consumer concern over whether the chemical poses a health risk. Canada intends to become the first country to ban the import and sale of some types of plastic baby bottles because they contain a chemical that the government says could harm infants and toddlers. 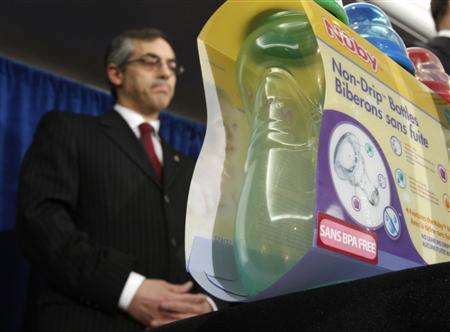 Health Minister Tony Clement said on Friday he would bring in rules to outlaw plastic polycarbonate baby bottles, perhaps within the next year. These bottles are made with bisphenol A, which is also used in food and water containers. 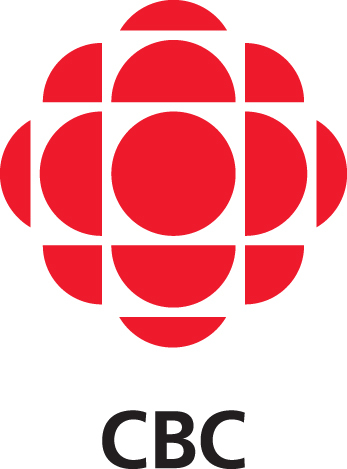 Canada is moving to get rid of products with a chemical common in plastic baby bottles, the United States is expressing concern over its safety and some retailers are planning to stop selling these items. But whether the chemical bisphenol A poses genuine health risks in people remains a matter of debate, with industry groups defending its safety and environmental activists saying studies involving animals show otherwise. Canada's proposed ban on a hormone-like chemical in baby bottles has spurred U.S. retailers and legislators to try to phase out use of the ingredient, called bisphenol A, or BPA. Canada's announcement Friday came just days after the National Toxicology Program, part of the U.S. Department of Health and Human Services, found "some concern" that low levels of BPA cause changes in behavior and the brain, prostate gland, mammary gland and the age at which girls enter puberty. Having lived in Europe for a decade, I find most of North America painfully slow in enacting the appropriate legislation to promote environmental sustainability. While Leaf Rapids, Manitoba and Huntington, Quebec may have banned plastic bags here at home, these are isolated and community-based initiatives; not country-wide legislation that could make a serious dent in the issue. I recognize that, thanks to Hollywood and Al Gore's "An Inconvenient Truth", the environment has become a fashionable cause to rally behind. "Statement" cotton bags are all the rage! Last year's Anja Hindmarch-designed and much-hyped about "I'm not a plastic bag" tote, became an immediate seller, as fashion-conscious shoppers clamored to get their hands on one. I'm no better, professing a love for my "Plastic bags blow" organic cotton shopping bag, available from www.reusablebags.com. Sure these bags have become trendy in a shallow and vain sort of way, but –again—I don't care how people come about their environmental consciousness, as long as they do and as long as every little decision and step along the way contributes to making plastic bags passé and a relic of the past. Link: Plastic Bags Blow, People! Ontario's government has struck a deal with industry leaders to markedly reduce the number of plastic bags distributed in Ontario over the next five years. The pact includes commitments to a goal to reduce the use of plastic bags by 50% in five years; consideration of in-store and Blue Box recycling programs for Ontario stores and consumer education initiatives to promote the reduction, reuse and recycling of bags already in circulation. The program also includes annual monitoring and reporting to ensure progress is made. “It’s very encouraging that industry is ready and willing to take on this challenge publicly and work with us to dramatically reduce, re-use and recycle more in Ontario,” said Ontario Environment Minister Laurel Broten. “Ontarians use almost 80 plastic bags per second – that’s close to seven million bags every day. Reducing the volume of plastic bags that end up in landfills is a top priority for us,” she added. North Bay council is encouraging residents to help protect the environment and extend the life of the landfill by using fewer plastic bags. Council, after much debate, adopted a motion tabled Monday by Coun. Link: Leaf Rapids first Canadian municipality to ban plastic shopping bags. The northern Manitoba town of Leaf Rapids became the first municipality in Canada to ban plastic shopping bags on April 2, 2007. 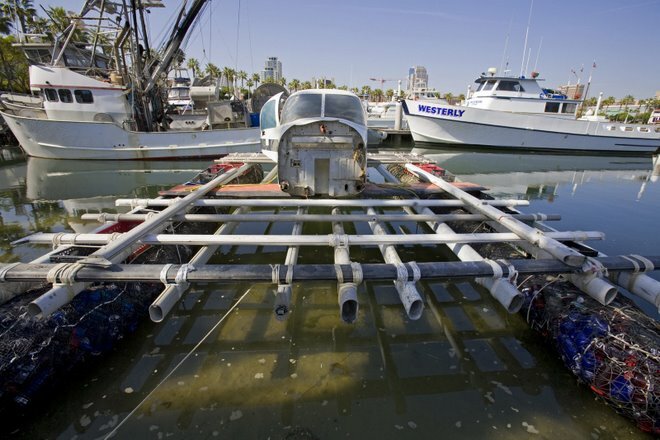 "Everybody's on board," Mayor Ed Cherrier said. "Our Co-op store and Fields, they're really supporting our initiative. And in fact, our Co-op store has offered a challenge to all of Federated to go bag-free across Canada." Link: Canadian Town Bans Plastic Bags. Councillor Glenn De Baeremaeker (Ward 38 - Scarborough Centre) wants to reduce the numbers of plastic bags that Ontarians throw out - by 80% to 90% - by introducing a 25-cent per bag levy. Said the Councillor, "It is a lot of money, and it's a lot of waste that's being created and it's a lot of energy being consumed to create a product that really is very, very bad for the environment...So what this would do, hopefully, is encourage people to go to cloth bags, paper bags and reusable bags." Link: City Councillor Calls For Tax On Plastic Bags. Tofino’s committee of the whole backed recommendations that may soon require the district to purchase recycled office-supply products and hybrid vehicles. Committee members will also write local businesses, asking how the community can cut down on the use of non-biodegradable plastic bags. Coun. Derek Shaw, the author of the resolutions, said the purpose of the policies is to ensure the District of Tofino promotes ecologically and socially sustainable products. He said council should consider joining a socially sustainable purchasing network. Link: Tofino Embraces Hybrids, Trashes Plastic Bags.